Aikido is a martial art and spiritual discipline where conflict is resolved harmoniously through the redirection of the attacker’s energy. Ai (“harmony”), Ki (“universal energy/life force”), Do (“way”) is purely defensive in nature - you cannot attack anyone using Aikido. In Aikido, control of an attacker is achieved by maintaining one’s own center and posture, while causing the attacker to become unbalanced. The attacker is then pinned using various joint locks, or is thrown. There are an infinite variety of responses to any attack. 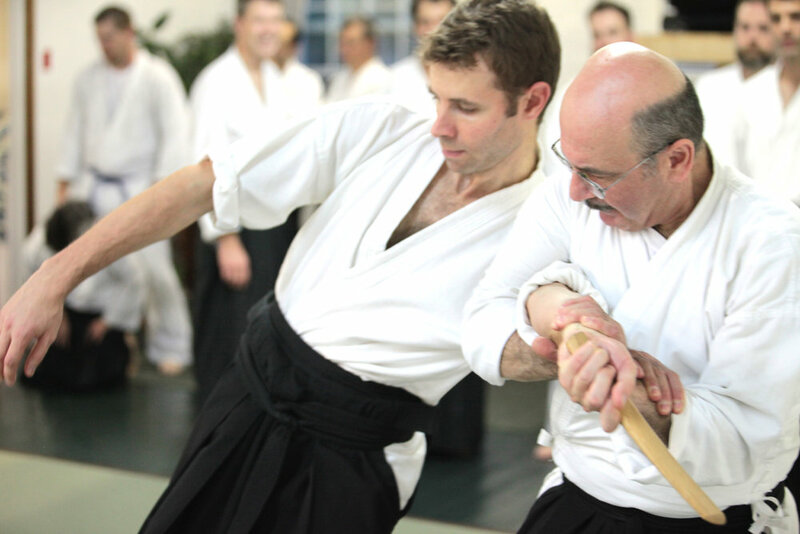 Aikido training also includes defense against multiple attackers and weapons, including knife, staff and sword. There are no competitions in Aikido; one achieves higher rank by demonstrating increased understanding and competence as part of a promotion exam. Aikido is Morihei Ueshiba’s grand synthesis of the martial and spiritual traditions of Japan. Morihei Ueshiba (1883 – 1969), also known as O-Sensei (Venerable Teacher), founded Aikido and personally led its growth over four decades. O-Sensei trained in martial arts from an early age. He studied jujutsu, kenjutsu, and judo, eventually earning teaching certificates in judo and Daito-Ryu jujutsu. Elements of each of these arts, along with the spiritual traditions of Shinto, Buddhism and Omoto-kyo, formed the backdrop to the creation of what is known today as Aikido. O-Sensei is widely regarded as the greatest martial artist that ever lived. Originally referred to as Aiki bujutsu, O-Sensei’s “new” martial art diverged from classical styles and forms in several important ways. First, the use of the term “aiki” in this context denoted a more profound emphasis on harmonizing with the energy of the attacker than any martial art that preceded it. “Ai” refers to matching, blending with, or harmonizing with, and “ki” refers to the fundamental life force that pervades all beings and the entire universe. Second, the change from “bujutsu” to “do” indicates a move away from just techniques and more toward a martial “way”. O-Sensei’s tireless efforts caused Aikido to grow in popularity over the period from approximately 1922 (when it was still known as aiki bujustsu) until his death in 1969. This growth included the formation of the first Ueshiba-ryu dojo, specifically for other followers of the Omoto-Kyo religion, to the establishment of the Iwama dojo and shrine, to the creation of the Hombu dojo. During this period, the growth of Aikido occurred, despite very adverse circumstances. Personal hardships confronted O-Sensei, including the death of his father and his two infant sons. Global events, including the increasing militarism of Japan and, ultimately, World War II, made continued focus on martial arts very difficult. Particularly difficult was the period immediately after World War II when Allied occupation forces essentially banned all martial arts training. Despite these hardships, O-Sensei’s commitment, personal dedication, and shugyo caused Aikido not only to survive but to flourish. That so many students were attracted to the art in O-Sensei’s lifetime can be attributed to several factors. First, his mastery of the art was so total and complete that even those who did not believe were easily and quickly converted. Jigoro Kano, founder of Judo, is said to have remarked on seeing O-Sensei demonstrate “This is my ideal budo”. Some were disbelievers until they actually had occasion to attack O-Sensei and were thrown or pinned with an ease that instantly converted the most serious skeptic. Word of mouth transmission of these accomplishments caused O-Sensei to achieve almost legendary status in his own lifetime. This near living legend status, coupled with an almost total personal dedication to his mission of developing AIkido, equated to great leadership, an ever-increasing following, and a tremendous surge in the number of people practicing Aikido. Unfortunately, even the greatest leaders are mortal. O-Sensei knew that for the art to survive there had to be some type of orderly succession by someone who could pass on his ideas undiluted to future generations. Luckily, he had a son who was able to train diligently and absorb his teachings to the fullest. Kisshomaru Ueshiba (1921- 1998) took the reins from O-Sensei and continued the founder’s mission. This event was tremendously important in the continuation of the art. Also important were the students who studied directly under O-Sensei and who opened their own dojos and spread the practice of Aikido. These people formed the next generation of teachers of Aikido, who took as their mission the continued undiluted dissemination of the art to the world. The succession continues today, with the recent death of Kisshomaru Ueshiba and the subsequent passing of the title of Doshu to Kisshomaru’s son Moriteru. 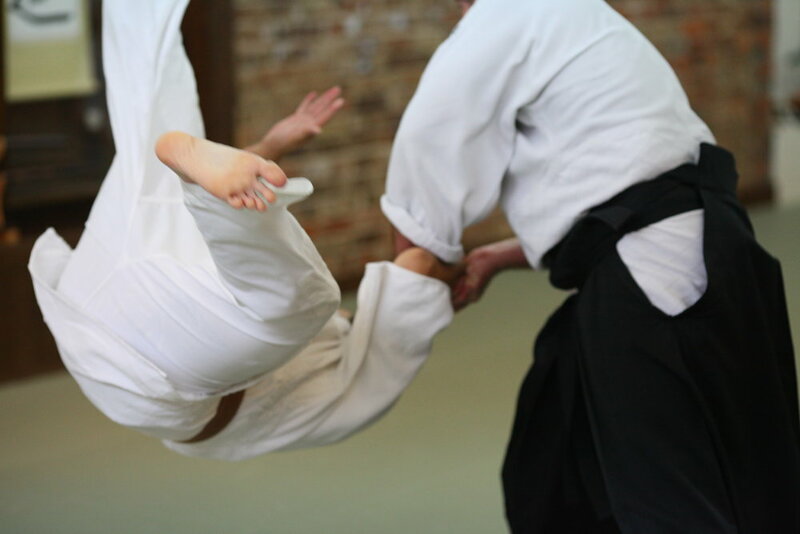 The Doshu is considered the ultimate world leader of Aikido. 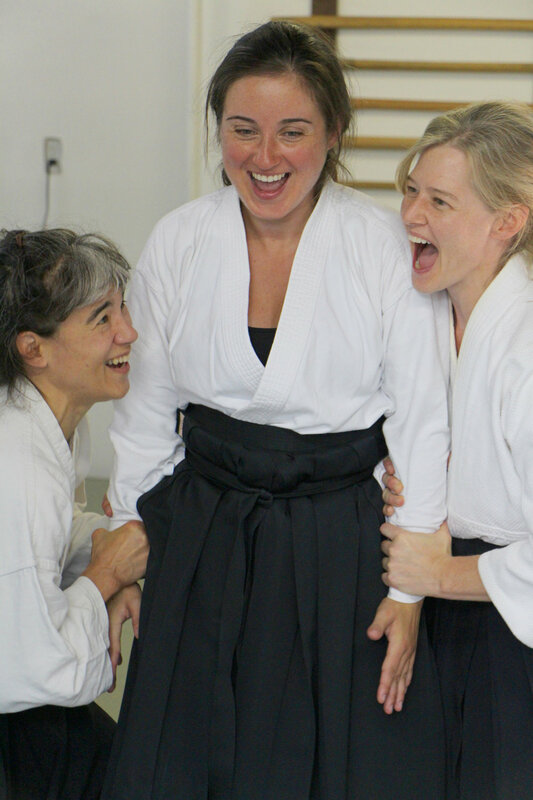 Aikido has basically gone through three distinct phases. The early years of development are referred to as the “pre-war” period. During this period the art was evolving but, for many reasons was disseminated only to a limited number of influential people. Second, the so-called “post-war” period (1948 – 1969) where the art began expand through increased interest, more students, and greater emphasis on the administrative side of growing what amounts to a world Aikido organization. The establishment of the Aikikai Foundation marked the beginning of this period, and Aikido began to cross geographic boundaries and spread to greater numbers of people than ever before. The third era, although lacking a name, I will refer to here as the “modern” era. This era is marked by a global mindset, easy access to information, and almost universal use of the Internet. Information about Aikido can be spread more quickly and easily than ever before. Geographic barriers blur, as Europe adopts one currency and cheap, easy air travel makes first hand experience of other cultures almost routine. The modern era presents Aikido with many challenges, and our ability to blend with these challenges will determine the ultimate future of Aikido. The challenges of the modern Aikido era come from the very success that has brought us to this point. A beginning student entering Aikido today will probably be under the guidance of a Sensei who was the student of a student of O-Sensei. This means that the teaching this new student will receive has been diluted by two layers of personal experiences, backgrounds, philosophies and religious beliefs. Like the game of telephone, if the players are not careful, the resulting teachings can be very different from the original teachings of the founder. If this happens enough, the art can lose its identity and ultimately cease to exist as a single, well defined entity. This does not mean that the art is stagnant. Change is a fundamental part of life and Aikido must change and evolve in order to stay alive and vibrant. That being said, the “heart” of Aikido, the principles upon which the founder built the art, must remain unchanged in order for the art to continue to be the Aikido created and nurtured by O-Sensei. The future of Aikido depends on this. 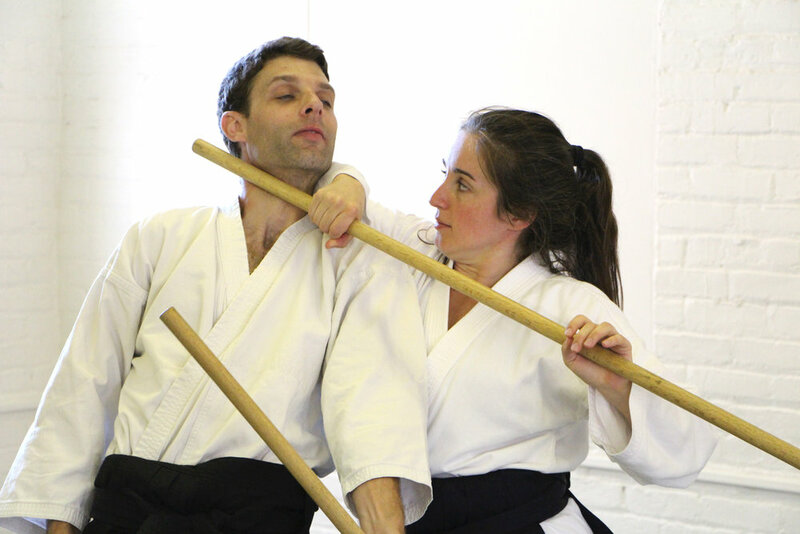 There are two roles that are critical to the continued growth and success of Aikido. First and foremost is the role of the Shihan. A Shihan, or teacher of teachers, is the pillar of Aikido teaching and represents the closest link to the original teachings of O-Sensei. 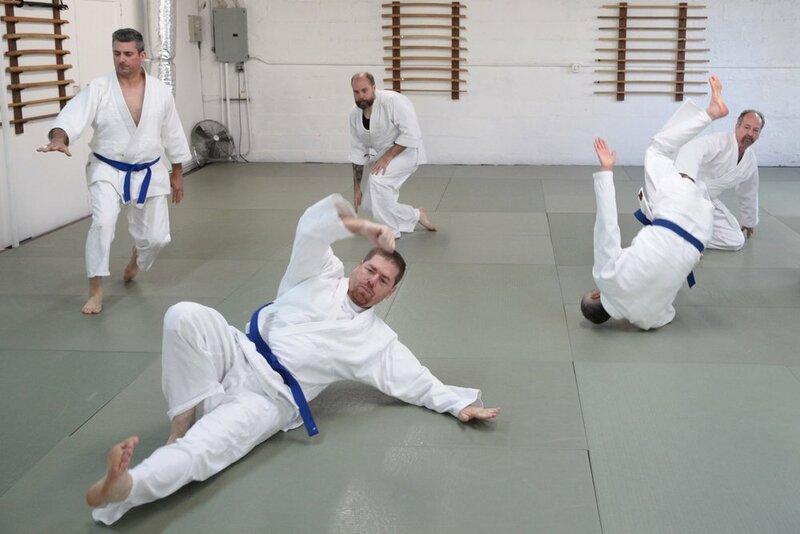 Building an organization with consistent, quality teaching, instructor certifications, and a worldwide presence is a key Shihan responsibility. By doing this, they ensure that the next generation of students will receive the best possible instruction. Also, by promoting the art through public demonstrations and seminars, they are continuing to expand interest in the Art and constantly bringing in new students to the art. The second role is the role of the student. Each and every student has a responsibility not only to learn and understand the art, but to incorporate shugyo into their daily practice both on and off the mat. 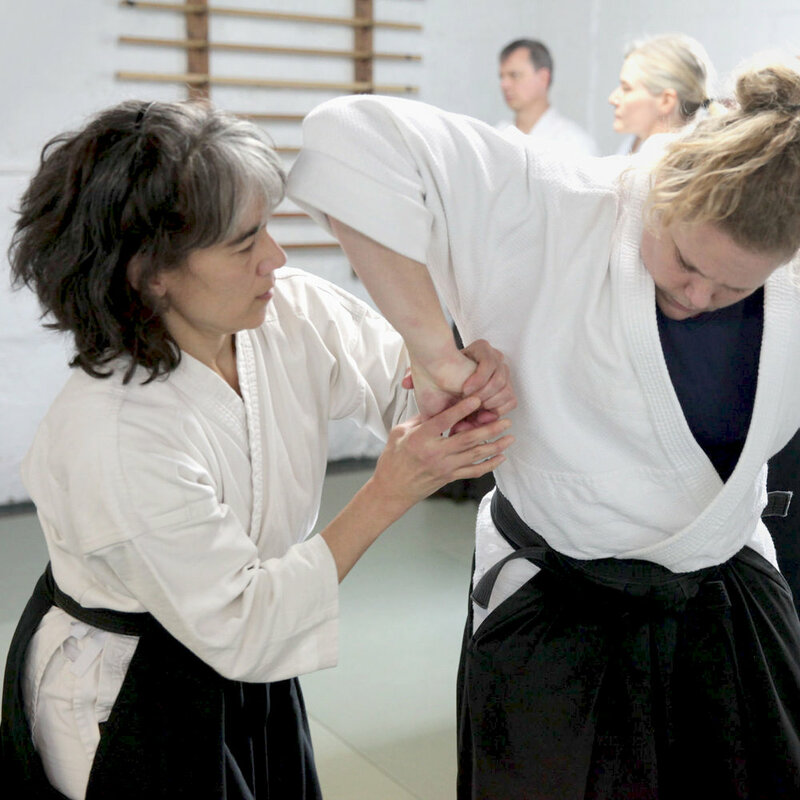 Although students are attracted to Aikido for many reasons, there must be commitment, perseverance and diligent training or the art will not survive. Without this the art is reduced to mere casual exercise, devoid of budo. Read more about Our Lineage. 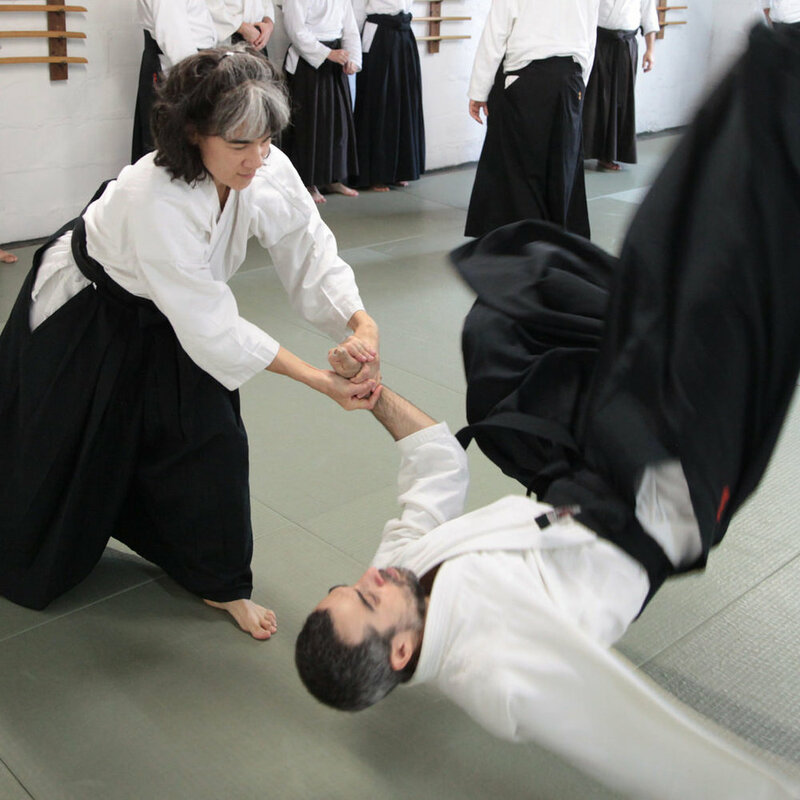 The topic of Aikido philosophy can be approached from several perspectives. First, one can examine the specific philosophy espoused by the founder, Morihei Ueshiba O-Sensei. Such a perspective would include the underpinnings of O-Sensei’s teachings and would need to cover elements of Shinto, Buddhism, Omoto-Kyo, the role of Nature, and the most esoteric topic of all, Kotodama. To present this material in any type of authoritative way implies an ability to understand it, rather than just regurgitate what others have written. While Shinto (and the closely linked topic of the role of Nature) and Buddhism are relatively accessible to a western student, the Omoto-kyo religion and the Kotodama are much denser topics. For a westerner whose knowledge of the Japanese language is limited to body parts, strikes, defenses, and counting, these last two topics are practically impenetrable, particularly Kotodama. It is also important to remember that O-Sensei’s primary occupation was not as a philosopher. He did not sit around pondering the nature of the universe, or write essays that reflected his spiritual and philosophical beliefs. Some writings do exist which incorporate or reflect his religious, spiritual or philosophical beliefs, including a number of poems (“doka”), but these are not extensive. Although many books have been written on the topic of Aikido philosophy, they are generally authored by students of Aikido who have a particular interest in the spiritual and philosophical side of the art. Some of these authors are themselves scholars on these topics as well as being students of Aikido. Rather than presenting a thorough treatise on the above topics I will present some brief background information, and then focus on my direct experience of Aikido and my own interpretation of Aikido philosophy, particularly how that philosophy manifests itself in my daily life. Anyone growing up in the late 19th – early 20th century in Japan could not help but be profoundly influenced by Shinto beliefs and philosophy. Shinto beliefs were so incorporated into the minds and daily activities of the average person that they ultimately could co-exist happily alongside other belief systems, including Buddhism. At the heart of Shinto is the existence of many “kami”, where each particular kami would be loosely analogous to the western idea of a deity. Often linked to nature, these “gods” looked out for all aspects of life in Japan at the time. There were literally thousands of local shrines dedicated to an enormous number of “kami” covering virtually all aspects of human behavior. Some of the shrines were for local deities, unknown outside of the immediate area served by that particular shrine. Some kami were newly created, while some dated back hundreds of years and were known by everyone, regardless of location. In this sense Shinto was not an organized, centralized “religion” but the result of hundreds of years of evolution of folk beliefs. “Kami” appear repeatedly in O-Sensei’s practice, including purification rituals, “warm-ups” and certainly in his esoteric poems (“doka”). Buddhism came to Japan from India in approximately 550 AD, and brought with it a much simpler view of life and the universe than the myriad kami world of Shinto. The essence of Buddhism is the direct experience of one’s own true nature, and the realization that all dualism is an illusion. Because we are plagued with this delusion and all of its attendant problems, we are faced with suffering. This suffering is universal, but can be overcome by a direct realization of our true nature (“Buddha-nature”). This can be achieved by following a simple path presented by Buddha to his disciples. This is known as the eightfold noble path. This noble path consists of a series of guidelines about how to live your life, incorporating, among other things, the concepts of compassion and truthfulness. Buddhism’s perspective is one where “the moment” is all there is; where there is total mindfulness in each and every instant of your life – a state often referred to as “enlightenment”. Although there are several “schools” of Buddhism, main ones include Zen, (from the Chinese Ch’an, or meditation), and a later addition known as Pure Land, or Jodo-Shinshu. Pure Land differs from Zen in its belief that one cannot rely upon one’s own will to achieve enlightenment (“self-power”), but must instead take refuge in Amida Buddha, relying upon the compassion of Amida for enlightenment (“other-power”). Buddhist thought has a natural partner in Aikido. As a practicing Buddhist for the last 20 years, I will expound on this natural partnership later in this paper. Regarding the Kotodama, I would be lying if I said I could speak with any clarity about the true meaning of the Kotodama. To understand this material requires an enormous amount of background information that I simply do not have. Suffice it to say that Kotodama involves sounds that are viewed as the fundamental sounds of the universe. The incorporation of these sounds into chanting rituals allows the chanter to connect with the basic building blocks of sound that make up the universe. For instance, the sound “SU” is viewed as the sound created when the universe suddenly exploded out of nothingness. From a cosmology perspective, SU is the sound of the “big bang” itself. What is particularly interesting to note is that recently, scientists examining the sky for the background radiation from the big bang have discovered waves that are the remnants of the actual “sound” produced by the big bang at the moment of the creation of the universe. In essence, current state of the art science in the field of cosmology has validated the most basic premise of Kotodama, that there was in fact a sound produced at the very instant of the creation of the universe. O-Sensei became involved with an esoteric religious movement in Japan known as Omoto-kyo, This movement was lead by a Onisaburo Deguchi, a charismatic figure who developed a religion based upon nature and which included the desire to create a society which lives in harmony with the land. Deguchi had a significant influence on O-Sensei, and in fact it is O-Sensei’s experiences with Deguchi and Omoto-kyo that shaped his emphasis on the resolution of conflict though harmonious blending with the energy of the attack. There is no one, consistent view of what constitutes Aikido philosophy today. Some dojos are firmly rooted in Buddhism, some in Shinto ritual, and some try and be “agnostic” when it comes to the religious roots of Aikido. However, all Aikido is grounded in certain principles espoused directly by O-Sensei and which, when viewed together, can be taken as a kind of “philosophy”. These include harmonizing with, rather than confronting, the attacker, acting decisively and being present “in the moment”, and letting techniques flow naturally by being in tune with the universe. Here is my own direct interpretation of these, from a decidedly Buddhist perspective. Buddhism allows us to experience the fact that bifurcation of subject and object is an illusion. This includes the differences between any subject and any object. The distinction is an illusion, created by our intellect and fostered by our ego. Only by dropping our egos and letting go of our desperate clinging to the idea of “self” can we recognize this. Once we do, we will move in unison with the entity formerly known as “uke” because the line between ourselves as nage and the illusion of a separate uke will have been blurred or eliminated entirely. Without this separation harmony is guaranteed and the outcome is certain. Primitive human response to an attack involves confronting the attack. The attack can be verbal or physical or psychological, but the primitive reaction is the same; confront rather than go around. It is our contentious minds that cause us this trouble. By eliminating the contentious mind we have in ourselves, we can overcome the primitive response and create a condition whereby (to paraphrase O-Sensei), “the attacker injures himself with his own intentions to hit”. Rather than directing our energy towards defeating the attacker, we should make a full effort to defeat our own contentious minds. There are no contests, no winning or losing, in Aikido. On a dualistic, conceptual level, one person attacks another, and the person attacked either deals with it or doesn’t. Effectively dealing with it (again, from “relative-world” viewpoint) could be viewed as “winning” and failure to do so could be labeled “losing”. The catch here is that this viewpoint is hopelessly mired in the dualistic view of the relative world. Another view would be that uke and nage are seamlessly interconnected, and that nage, by acting naturally and in tune with the universe, causes uke to end up on the ground with no further desire to attack. The “attacker’s” trip to the ground is like an apple falling from a branch; nothing special, just the natural movement created by the conditions set up by nage. When the apple is ripe, it falls. On a personal level, I remember my first experience as uke for a very senior nage – the feeling (and the word has stuck with me for years), was one of complete “inevitability”. I felt like I was drawn into a cosmic dance where my actions were not a result of my own intentions but were being governed by natural forces of the universe, like gravity. No need to look around for someplace special to train. No need for ornate buildings or facilities. Your training is continuous and is taking place every moment. The quest for Buddhist enlightenment has been likened to searching everywhere for your nose. Once you find it you can’t believe that it was in front of your face the whole time. So it is with Aikido training. Look under your feet and you will not only find a great place to train, but heaven itself.